A new 2010 year is coming. Many people summarize the past period. Many things have been done, and some plans have to be left for 2010. For the Association year 2009 was relatively calm, a year without stress and shocks. Usual life of a non-commercial organization that included international work, criticism of officials, protection of its members’ interests and the fight against unfair competition. However, we can not be fully satisfied with the results of year 2009 and we hope that, we will be able to raise the Association at a higher level and achieve better results with the help of our partners, including those who joined our organization in 2009. On the eve of New Year we want to thank Moshkov Gennadiy Yurievich for labor of love as the President of the Association and those active members of our organization, who provided financial and political support. First of all such companies as TransContainer, New Technology in Transportation, Chrysotile Association, URALCHEM and National Bureau of Expertise. We also want to express special thanks to the representatives of the international organizations, who have been interacting with the Association, I. Rahim, Head of Cargoes Section International Maritime Organization, O. Kervella, Chief of Dangerous Goods and Special Cargoes Section Sub-Committee of Experts on the Transport of Dangerous Goods, R. Asariotis, Chief, Policy and Legislation Section Division on Technology and Logistics UNCTAD and many others who have been providing us with informational and consultative support. 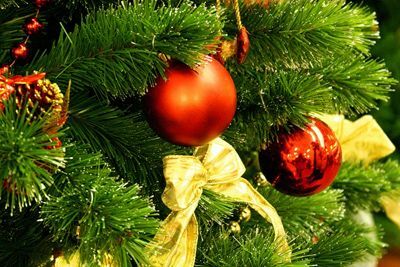 In the coming year we would like to wish reliable friends and partners, good health, happiness and successful development of business to everyone! Happy New Year! Happy New happiness! December 26, Igor Anatolievich Mayorov, Deputy Director General of IDGCA celebrates his birthday. The management and the staff of IDGCA congratulates Igor Anatolievich and wish him good health, every success, excellent mood and family happiness! IDGCA congratulates Alexander Nicolaevich Shokhin, President of the Russian Union of Industrialists and Entrepreneurs, on his birthday and wishes him the fulfillment of all desires, the continuation of success, peace and prosperity, faithful friends and reliable partners! 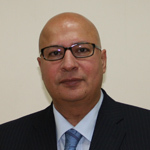 IDGCA heartily congratulates Mr. Irfan Rahim, Head of Cargoes Section (IMO), on his Birthday and wishes him strong health, happiness, prosperity and every success! Vagit Alekperov, OAO LUKOIL President, and Igor Sechin, Deputy Chairman of the RF Government, today visited the fixed offshore ice-resistant platform (FOIRP) at Yu. Korchagin field, located in the Russian sector of the Caspian Sea. The two officials witnessed the signing of a deed transferring the platform’s drilling unit to the contracting organization, OOO “BKE Shelf”, whose specialists will be drilling technical and production wells. The offshore platform was assembled at the field in the third quarter of 2009. A drilling unit with the capacity of 560 tons for drilling wells up to 7,400 meters deep was assembled on the platform. In total, 26 production wells, three water injection wells and one gas injection well are scheduled to be drilled at the field. The living quarters designed to accommodate 105 people were constructed on a separate jacket. It also comprises a helideck and rescue equipment. The living quarters and the production platform are connected by a 74.2-meter crossover bridge. Commercial oil production is scheduled to begin in March of 2010. The oil produced at Yu. Korchagin field will be transported via a sub-sea pipeline 58 kilometers long and 300 millimeters in diameter to an offshore terminal comprising a floating storage unit and a single-buoy mooring. The floating storage unit is an oil tanker with a double bottom and double boards, a boiler room, living quarters and a helideck. The unit’s deadweight is 28,000 tons. Shuttle tankers with deadweights between 6 thousand and 12 thousand tons will be used for further oil export and transportation to the refineries. The field is located 180 kilometers off Astrakhan and 240 kilometers away from Makhachkala. The sea depth at the field location is 11-13 meters. The field’s recoverable reserves are estimated at 28.8 million tons of oil and 63.3 billion cubic meters of gas. The maximum annual production level is 2.5 million tons of oil and 1 billion cubic meters of gas. The total expenses for the field construction came to RUR 27 billion in 2008 prices. At IDGCA site now you have the new opportunity to discuss issues relating to the carriage of dangerous goods, the application of international regulations, standards, rules and recommendations, the training of specialists in the field of transportation of dangerous cargoes and containers. We invite you to participate in discussions, to complain against the officials or to thank them on the forum. Go to the forum, register, ask questions and open new forums. The most interesting themes and questions will be translated into English. We will be glad to see you regular visitors of our site and forum. To go to the forum, use the following link Go to forum "Dangerous Goods and Containers" or go to the address forum.idgca.ru. From 30 November till 9 December 2009, the 36th Session of the UN Sub-Committee of Experts on the Transport of Dangerous Goods took place in Geneva, Palais des Nations. Traditionally at the session the experts from different states, in accordance with the program, considered the proposal to amend UN Model Regulations made by organizations in consultative status with ECOSOC. IDGCA delegation represented by Khokhlova Anna - IDGCA Assistant to Director General, Akhundov Emil Akhmedovich - Technical Director of "New technology in transportation", Rozarenova Tatyana and Tynnikov Anton - managers of international projects of URALCHEM, OJSC, also took part in this event and presented its proposal ST/SG/AC.10/C.3/2009/51 «Possible use of flexible bulk container (FBC) for the transport of dangerous goods», developed jointly with the member of our Association, "New technology in transportation", JSC. IDGCA proposal received the support of experts from the United States and China, as well as received many constructive comments on changes to the text of the proposal from the experts of Great Britain, France, Austria and Spain. 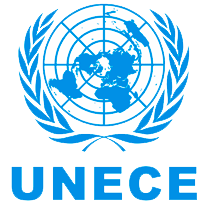 The Sub-Committee recommended IDGCA take into account the views of experts and submit the redacted proposal on the next 37th summer session of the UNECE Subcommittee of Experts. Also working meetings with the Secretary of the Sub-Committee, Mr. Olivier Kervella, and the head of UNCTAD legal department, Mrs. Regina Asariotis, were held during the session. November 26, Russia's permanent representative to IMO Frolov Alexander Iljich celebrates his 60-th jubilee. 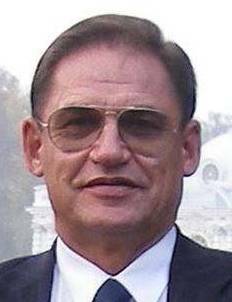 The staff and members of IDGCA congratulate Alexander Iljich oh his birthday, wish him strong health, well-being and every success. November 12, in the House of Architects "National Bureau of Expertise", a member of NP "IDGCA", celebrated 10 years from its founding. Since 1999 NBE has been dealing with industrial safety, project maintenance, development and implementation of management systems. Close cooperation with academic and international organizations allows NBE to solve complex technical challenges associated with the development of the sea shelf, design and certification of transport equipment. Among the guests invited to the evening, well-known scholars and leaders of Russia's organizations were present. The Head of Cargoes Section Maritime Safety Division of IMO Mr. Irfan Rahim came with a private visit to celebrate the anniversary. IDGCA considers NBE to be a reliable partner and heartily congratulates the team of NBE on the jubilee. During the period from 30 November to 9 December 2009 the 36-th Session of the Sub-Committee of Experts on the Transport of Dangerous Goods will be held at the Palais des Nations, Geneva with the following program. During the period from 14 to 18 September the ISTC gave the seminar on training of specialists on the dangerous goods transportation safety in Vitim settlement (the Republic of Sakha). The group of listeners was formed from management personnel and engineers of the maintenance and equipment complement base of “Surgutneftegas” OJSC. According to the recognition of the leaders of this company and listeners the classes were held at a high organizational and methodical level. We invite the visitors of our site to cooperate with the ISTC, which can be expressed in the holding of visiting seminars and consultations. The International Staff Training Centre (ISTC) obtained a new licence for educational activities for a term of five years. The ISTC trains specialists for sea shelf oil-gas field development, advisers on the transport of dangerous goods, sea and industrial safety specialists (ISPS Code) and quality managers. The training is held under the scheme approved by the Rostekhnadzor and the Federal Transport Oversight Authority and under the special schemes made with the participation of a client. From 21 to 25 September 2009 in London the Sub-Committee on Dangerous Goods, Solid Cargoes and Containers held its 14-th session in accordance with the program approved by the Maritime Safety Committee (MSC). You can acquaint yourself with main points, resolutions adopted and comments to them in the next issue of the magazine “Dangerous Goods and Containers” which will be published in the beginning of November. 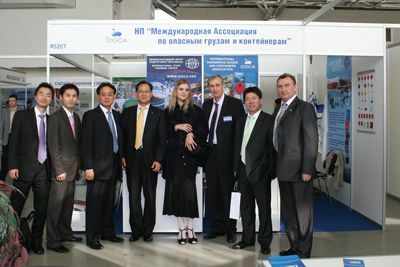 The International Dangerous Goods and Containers Association has successfully conducted an exhibition event at the sea forum"Neva -2009". Visitors of the exhibition stand acquainted with the activity of IDGCA, its associated companies and members of the organization. For four days, negotiations and meetings were being held, which helped expand the package of services offered by IDGCA and its partners. In the course of the exhibition the Union of Russian Shipowners (SOROSS) organized a roundtable discussion on “National cargo base to the national carriers, as a strategic component of the development of the national merchant fleet”, which was attended by the Deputy Transport Minister of the Russian Federation V.A. Olersky and the Director of the Department of State policy in the field of maritime and river transport A.Y. Klyavin. The round table was attended by the Director General of IDGCA M.I. Ognev who drew roundtable participants’ attention to the fact that Russia's business is practically not represented in the international organizations. A.Y. Klyavin promised to pay attention to this fact and to engage IDGCA in this work, as it has experience in the international work and a consultative status in the UN Subcommittee of Experts on the Transport of Dangerous Goods. Members and visitors of the exhibition showed a keen interest in the new issue of the magazine "Dangerous goods and containers", that promises a significant increase in the number of subscribers for 2010. 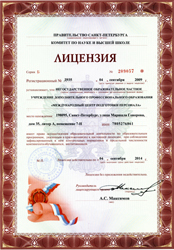 United Chemical Company URALCHEM, OJSC became a member of IDGCA. URALCHEM is one of the largest ammonium nitrate producers of nitrogen and phosphate fertilizers in the Russian Federation and the CIS and a prominent player on the world market of mineral fertilizers. The company has its own transport and service assets along with commercial structures. s of fertilizers, URALCHEM preaches the principle of security in its production activity. Presentation of the next issue of the magazine "DANGEROUS GOODS AND CONTAINERS"
The presentation of the next issue of the magazine "Dangerous goods and containers" 2009 will take place at Neva-2009 Exhibition, September, 22. We invite you to see our Stand R5207 in Pavilion 5. Officials of the Department of the State policy in the field of maritime and river transport (DSPFMRT) of the Russian Ministry of Transport are trying to put a restraint upon the activity of “IDGCA” in international organizations. It appeared that the officials, positioning themselves to be fighting for the safety of navigation, try to use the International Maritime Organization (IMO) as a tool to push the interests of certain commercial structures. It can be also assumed that the Ministry of Transport is pressed by the Russian Maritime Register of Shipping (RMRS) executive management, which is afraid of losing its monopoly on the provision of services in the field of maritime safety and certification of containers, acts with his opponents in disgraceful ways. “IDGCA" has prepared an open letter to the Minister of Transport Igor Levitin to set out its position and to clarify the policy of DSPFMRT. September, 15 Director General of JSC "Tenzor" Kaploukhiy Sergey Alexandrovich celebrates his birthday. The management and the staff of IDGCA congratulate Sergey Alexandrovich oh his birthday, wish him business success, well-being, true friends and reliable partners. September, 11 the President of IDGCA Moshkov Gennadiy Yurievich celebrates his birthday. 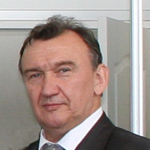 Members of IDGCA and the staff congratulate Gennadiy Yuryevich on his birthday, wish him good health, family well-being and thank for the invaluable help and work he has been doing as the President of the International Dangerous Goods and Containers Association. 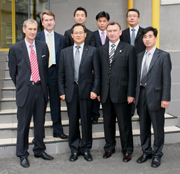 8 September the meeting of representatives of Daewoo Shipbuilding & Marine Engineering, English Lloyd, "IDGCA" and NBE. In the course of the meeting the issues of mutual cooperation in the sphere of shipbuilding development in Russia were discussed. The 1-2 issue of "Dangerous Goods and Containers" 2009 was published. September 22-25, Neva-2009 Exhibition will take place in Lenexpo, Saint-Petersburg. IDGCA jointly with its associated companies “Russian Register” JSC and “International Staff Training Centre” will be located in Pavilion 5, Exhibition Stand R5207. uests to visit this stand. We will be glad to receive preliminary questions for discussion at the exhibition. Our Association introduced a proposal to bring into use a new type of bulk containers that can be used for the transportation of dangerous goods: «flexible bulk container», named BK3 with appropriate provisions in section 1.2.1 and chapters 3.2, 4.3 and 6.8. of the UN Model Regulations on transportation of dangerous goods. The proposal was prepared in line with a claim of the IDGCA member "New Technology in Transportation". On the request of «Transcontainer» OJSC, «Russian Register» JSC conducted a voluntary audit of the system of continuous examination of containers belonging to «Transcontainer» OJSC. In the course of the audit the fulfilment of requirements of the Approved Continuous Examination Program (ACEP) by the containers owner was verified. This program was approved by the Federal Transportation Inspection Service (FTIS) in 2006. The audit was conducted in the management apparatus of «Transcontainer» OJSC and at the branch of «Transcontainer» OJSC on October Railway in St. Petersburg. The voluntary audit revealed that the containers owner had been carrying out basic requirements of the Convention for Safe Containers (CSC), and therefore «ACEP» demands. However, in the course of the audit it was revealed that since the approval of the program more than 2.5 years had passed and they require adjustments to certain provisions of the program and developments of additional internal procedures. «Transcontainer» OJSC is the sole Russian containers owner which managed to move to a new form of management of the container park. Previously, the entire container park, belonging to Soviet and then Russian owners, was operated in a rigid system of Periodic Examination Program (PEP) resulting in unproductive expenditures connected with the removal of the container park from service for presenting the containers to the inspectors of the Russian Maritime Register of Shipping (RMRS). According to the results of the audit, «Russian Register» JSC made recommendations to improve the Continuous Examination Program, taking into account future changes in the Convention for Safe Containers. 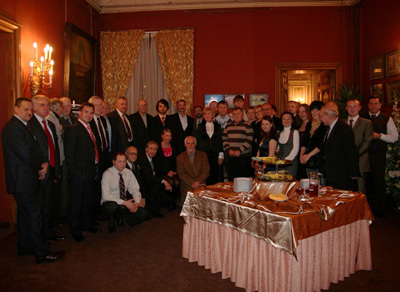 Together with the birthday of their organization, the staff of IDGCA held one more «anniversary»: August 15, 2005, the Transport Police representatives burst into the office of the Association and from that moment the long verification of IDGCA and provocations against the Director General, M. Ognev, his work and social activities started. Organizers and sponsors of the «operation» was the Director General of the Russian Maritime Register of Shipping (RMRS) Reshetov N.A. and his wards Vladimirtsev A.V. and Martsinkovsky O.A. 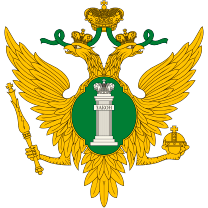 As we know, not long before these events Mikhail Ivanovich Ognev publicly opposed the withdrawal of financial and material resources of the FSI RMRS and the destructurization of the Industrial Service of RMRS, which he chaired. Reshetov and his “partners” started all existing methods of squaring accounts with the opponents. 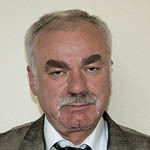 Reshetov N.A. even did not feel shy to pay the organization of custom-made checking and provocations from the RMRS budget in September of the same year. They use false denunciations, slander, false witness statements and open threats. The most regrettable thing was that the management of the RMRS misled not only law-enforcement agencies, but also its colleagues, after presenting M.I. Ognev as an enemy of their financial prosperity and pushing them to the collection of signatures in the documents, directed against M. I.Ognev, and inducing false testimony. To the honor of the law-enforcement agencies, they got to the bottom of this situation; and the procuracy made Reshetov N.A. a corresponding recommendation. The Ministry of Transport reacted to these events in no way, and it seemed that the Ministry does not care how the state organization that is accountable to it, handle with their opponents, including the non-governmental organizations, representative of which in this case is IDGCA. 21-25 September 2009, the 14th session of the IMO Subcommittee on Dangerous Goods and Containers will be held in London with the following program. Along with other important issues impassioned debate on amending the International Convention for Safe Containers (CSC) and harmonized interpretations is expected. Management and members of our Association congratulate the General Director of LUKOIL-Kaliningradmorneft LTD Yurii Stepanovich Kadjoyan on his birthday! We wish Yurii Stepanovich good health, well-being and every success! July 19, the Deputy Director of the International Dangerous Goods and Containers Association, the Director of the International Staff Training Centre Vladimir Tsikhiseli celebrates his 60-year jubilee. Management and staff of the Association, members of the Association heartily congratulate Vladimir Tsikhiseli and wish him good health, family well-being and success in all doings and undertakings. Х International Conference "Multimodal transportation of dangerous goods"
June 15-16, 2009, the X International Conference "Multimodal transportation of dangerous goods" under the chairmanship of G.Y. Moshkov, the President of International Dangerous Goods and Containers Association took place in Saint-Petersburg in "Rossija" hotel. The subject of the Conference was "Technical Regulation is the basis of safety and cost efficiency of freight transportation". Harmonization of the dangerous goods transportation rules with the requirements and regulations of international conventions, codes, rules and standards, as well as issues of the development and application of technical regulations in the field of dangerous goods and containers handling, and issues of safety standards for transport were discussed during the Conference. On completion of the Conference, round-table discussion took place, where the participants of the Conference could discuss the most important questions. The Conference received high accolades from the representatives of international organizations, business and regulatory bodies. Petitions to the Ministry of Transport of the Russian Federation based on the results of the Conference were prepared. IMO adopts new ship recycling convention. A new ship recycling convention was adopted by delegates at the International Maritime Organization (IMO)'s diplomatic conference in Hong Kong. The delegates agreed the International Convention for the Safe and Environmentally Sound Recycling of Ships should come into force 24 months after the entry-into-force conditions are met. These conditions are that not less than 15 states ratify the convention, the combined fleets of the 15 states constitute not less 40% of the gross tonnage of the world's merchant fleet, and the combined maximum ship recycling volume of these states is not less than 3% of their combined merchant fleet. Secretary General of IMO Efthimios Mitropoulos said the IMO now had a three-year ratification target. But non-governmental organizations said that the convention was already obsolete because it would perpetuate hazardous and polluting shipbreaking on the beaches of the world's poorest countries, while obstructing transitions to safer and greener forms of ship recycling. But the International Chamber of Shipping welcomed adoption of the convention, which it said would improve recycling practices worldwide and safeguard the health, welfare and safety of recycling workers. The representatives of IDGCA took part in the International Nevsky Environment Congress. The representatives of IDGCA took part in the International Nevsky Environment Congress, held May 15 in the Tauride Palace in St. Petersburg. The Congress was chaired by the Chairman of the Federation Council Sergey Mironov. As part of this event there has been held a plenary meeting at which the members of the Congress delivered reports, and five thematic round tables to discuss the issues of forming the international system of ecological safety, improvement of legislation in the sphere of using and managing natural resources and resistance to environmental catastrophes. The Congress was attended by members of the Federation Council, deputies of the State Duma, members of IPA CIS, the leaders of government bodies, representatives of the United Nations and other international organizations, business, educational and research institutions. The new IMO-convention for "Safe and Environmentally Sound Recycling of Ships" aims to prevent hazardous working conditions and to ensure environmental protection during ship recycling operations. It is going to be adopted at a diplomatic conference in Hong Kong this month. Expected to come into force in 2013, the convention will require approximately 50,000 ships worldwide to have a certified "Inventory of Hazardous Materials" (IHM) on board, listing hazardous materials present in structure and equipment. For preparing the IHM, shipowners will have to involve so-called Hazardous Material Experts (HazMat Experts). To ensure availability of these experts and enabling ship owners to comply early with the ship recycling convention, the first four-day seminar "Approved HazMat Expert" from Germanischer Lloyd was completed in Hamburg, Germany, last week. The course has been specifically developed in order to facilitate effective implementation and easy compliance with the upcoming IMO requirements. Due to the huge number of existing ships worldwide, availability of HazMat Experts is crucial. "The demand for Hazardous Material Experts will be enourmous and is already increasing sharply today", said Henning Gramann, Environmental Engineer and expert for ship recycling at GL. "Roughly 50,000 ships will have to be certified after 2013 within 5 years." As shipowners depend on HazMat experts to get IHMs prepared for their ships within the limited time-frame, a possible bottleneck due to the lack of HazMat Experts has to be prevented by early training and rising awareness. The IMO-convention for "Safe and Environmentally Sound Recycling of Ships" is being developed to improve working conditions on shiprecycling yards as well as environmental standards during the recycling process. Every new ship will have to enter service with a certified Inventory of Hazardous Material after the conventions enter into force. Recycling Facilities would need to comply with safety and environmental requirements to gain their authorization and e.g. handle and dispose of hazardous material safely. Ship Recycling States will be required to take effective measures to ensure that Ship Recycling Facilities under their jurisdiction comply with the convention. The Legal Committee of the International Maritime Organization (IMO), meeting for its 95th session at IMO Headquarters in London, has approved a draft Protocol to the 1996 HNS Convention (the International Convention on Liability and Compensation for Damage in Connection with the Carriage of Hazardous and Noxious Substances by Sea). 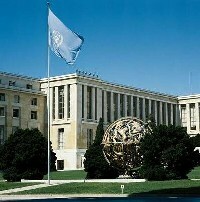 The draft Protocol is designed to address practical problems that have prevented many States from ratifying the original Convention which, despite being adopted in 1996, has, to date, only 13 ratifications and is some way from meeting the level of ratification that would trigger its entry into force. The 1996 HNS Convention is based on the highly successful model of the Civil Liability and Fund Conventions. Like the regime introduced by the latter Convention, it seeks to establish a two-tier system for compensation to be paid in the event of accidents at sea, in this case involving hazardous and noxious substances, such as chemicals. Tier one will be covered by compulsory insurance taken out by ship owners, who would be able to limit their liability; in those cases where the insurance does not cover an incident, or is insufficient to satisfy the claim, compensation shall be paid from a fund, made up of contributions from the receivers of HNS. Contributions will be calculated according to the amount of HNS received in each State in the preceding calendar year. However, among the obstacles that have discouraged ratification of the Convention, one of the most difficult to overcome has been the requirement for States to report the quantities of HNS received to IMO. This difficulty is due, in part, to the sheer range and diversity of hazardous and noxious substances that will be governed by the HNS Convention. As the reports act, among other things, as a trigger mechanism for the entry into force of the Convention, the omission of States to file them has effectively prevented the Convention from becoming operative. The draft Protocol, which was developed initially by a focus group established by the 1992 IOPC Fund Assembly, is set to address this problem, as well as others thought to be acting as barriers to ratification of the Convention. The IMO Legal Committee has now requested the IMO Council, which meets in June 2009, to approve the holding of a diplomatic conference as early as possible during 2010 to consider the draft Protocol, with a view to formally adopting it. On April 27-28, 2009 at the International Maritime Organization Headquarter, the conference devoted to the end of the European research project SAFEDOR will take place. The project explored the principles underlying the concept and practical applications of risk-based ship design. At the conference partners of SAFEDOR from all sectors of the maritime industry will present the latest and overall results of their work and familiarise engineers with the principles underlying risk-based ship design, regulation and operation. On 4 April, Audrius Pauzha officially assumed the office of the General Director of JSC Klaipeda Stevedoring Company (KLASCO), a company managed by Achemos grupe Concern. In April 8, 2009 Director General of the IDGCA M.Ognev held a meeting with the representative of the Lloyd's Register in Russian Federation. During the meeting the main topics of the mutual cooperation in development and improvement of the international documents, particularly the specialized container construction for transportation of dangerous goods with the independent fire extinguishing system, were discussed. Representatives of the Lloyd's Register in Russian Federation confirmed their participation at the X International Conference "Multimodal transportation of dangerous goods" which will take place June 15-16, 2009 in Saint-Petersburg. 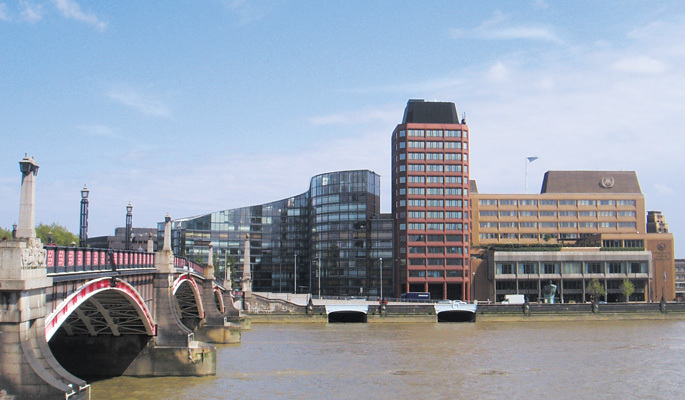 From 21st to 25th of September, in London, there will be held the Fourteenth session of the IMO Sub-Committee on DSC. Provisional Agenda for the 14th session contains such main topics as: amendments to the IMDG Code and supplements, including harmonization of the IMDG Code with the UN Recommendations on the transport of dangerous goods, amendments to the IMSBS Code, including evaluation of properties of solid bulk cargoes, amendments to the CSS Code. Information about the 35th session of the Sub-Committee of Experts on the Transport of Dangerous Goods. The thirty-fifth session of the Sub-Committee of Experts on the Transport of Dangerous Goods will take place from 22 June to 26 June at the Palais des Nations, Geneva. During the session the Sub-Committee will consider list of amendments to "Recommendations on the Transport of Dangerous Goods - Model Regulations". Also there will be discussed questions relating to the Globally Harmonized System of Classification and Labelling of Chemicals (GHS), cooperation with the International Atomic Energy Agency (IAEA), and Electronic data interchange (EDI) for documentation purposes. IDGCA at the suggestion of the Association member "New technologies in transportation", JSC submit proposals on the correction of the Model Regulations of a maximum allowed capacity of Intermediate Bulk Containers (IBC) for the Sub-Committee of Experts on the Transport of Dangerous Goods. Congratulate with International Women's Day! Dear ladies, the IDGCA team and its subsidiaries congratulate with International Women's Day - 8th March! Let there be spring and happiness in your soul and let love and luck never abandon you! Let loving and faithful friends surround you! We wish you health, happiness and good luck in your life!